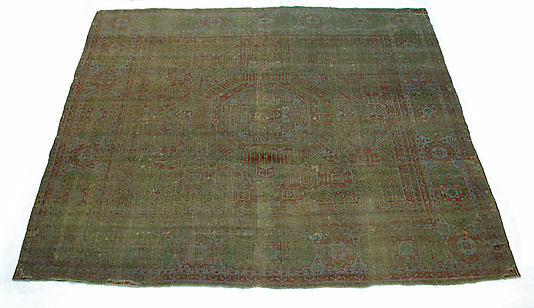 Named the "Simonetti" carpet after a former owner, this majestic weaving is among the most famous of all Mamluk carpets. 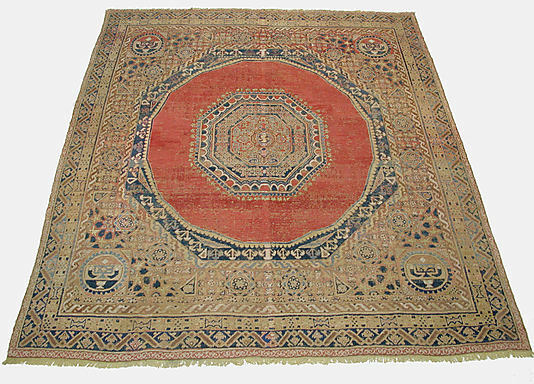 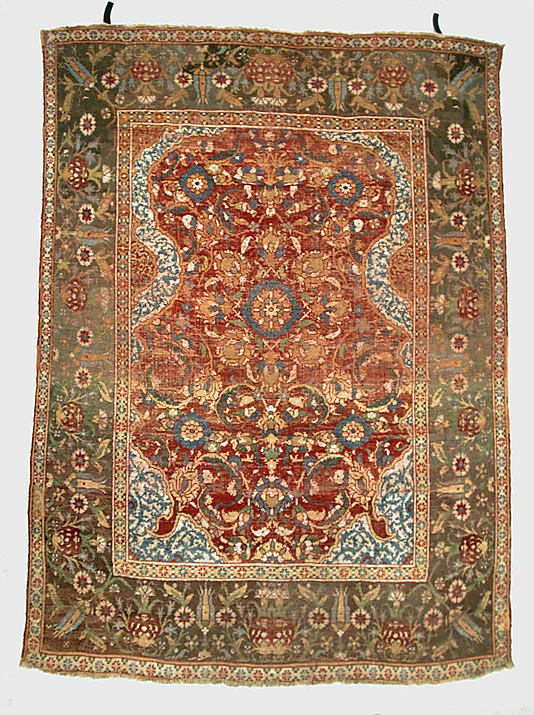 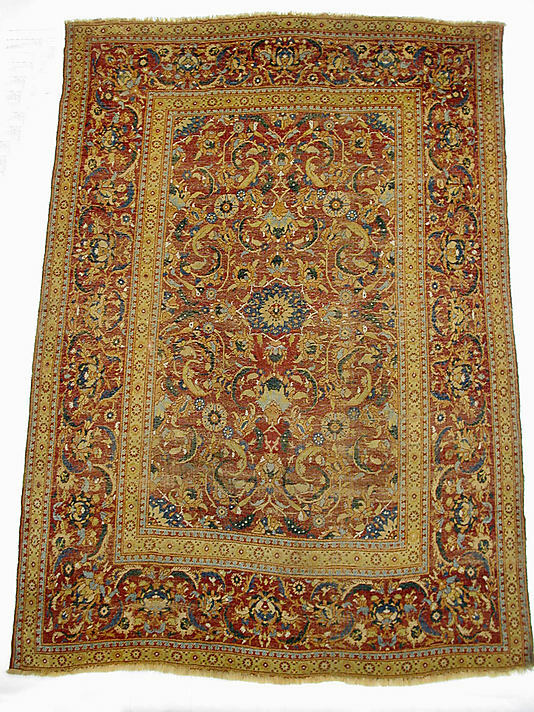 One of the larger examples of its type, the carpet has five medallions instead of the more customary one or three and displays a slightly brighter and more varied color palette. 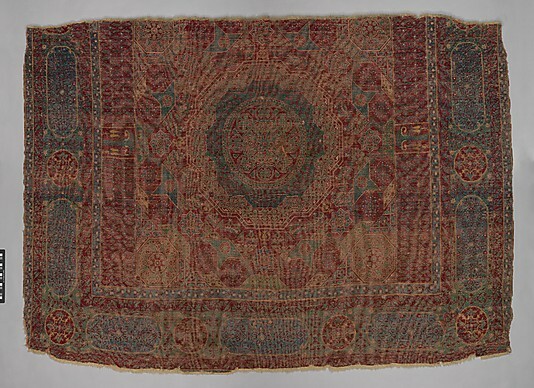 Likely produced in Egypt under the Mamluk dynasty, such carpets are surprisingly rich in appearance considering their relatively coarse weave and limited color range. 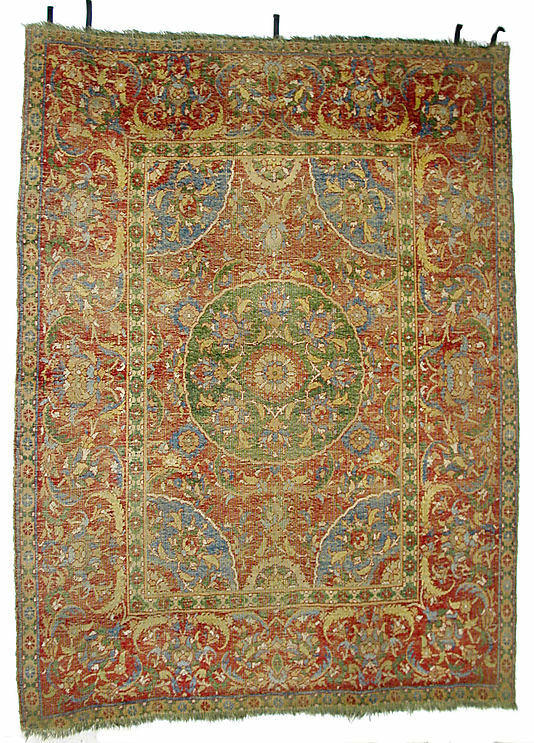 The overall effect is that of a shimmering mosaic. 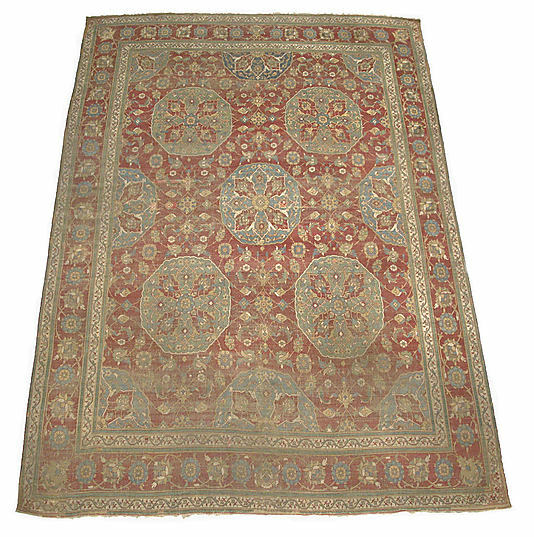 Documents first refer to Cairo as a carpet-weaving center in the last quarter of the fifteenth century. 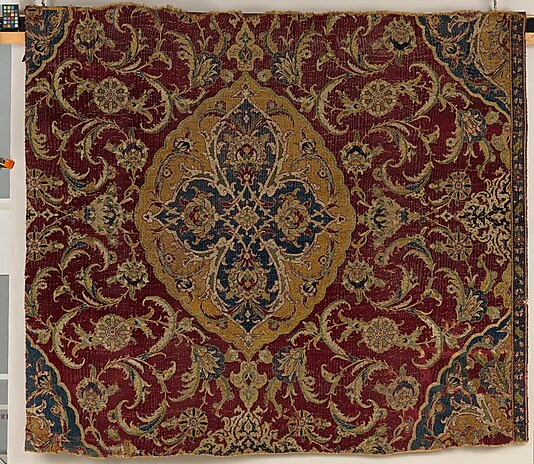 Carpets of this type figured significantly in Mediterranean commerce and appear in Venetian paintings as early as the sixteenth century. 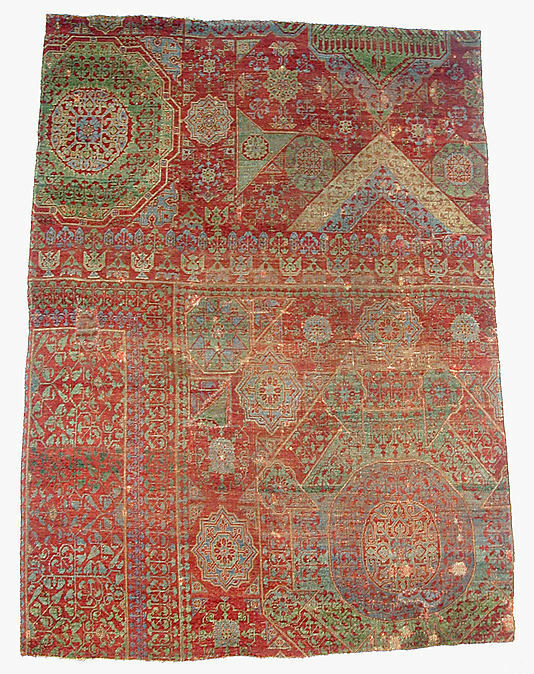 They are characterized by kaleidoscopic profusion of tiny motifs and a limited color range, resulting in an iridescent effect. 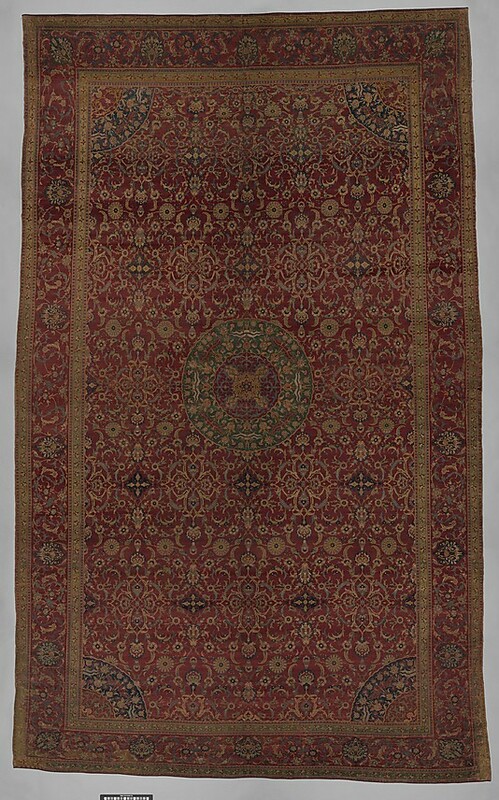 Production of these so-called Mamluk carpets continued until the mid-sixteenth century, after the 1517 Ottoman conquest of Egypt. 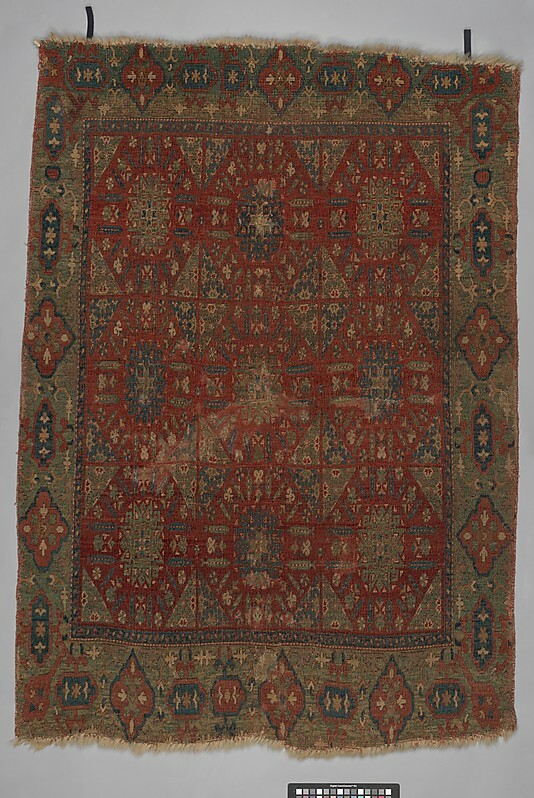 Although Mamluk Cairo fell to the Ottomans in 1517, the city continued to be a major center for artistic production. 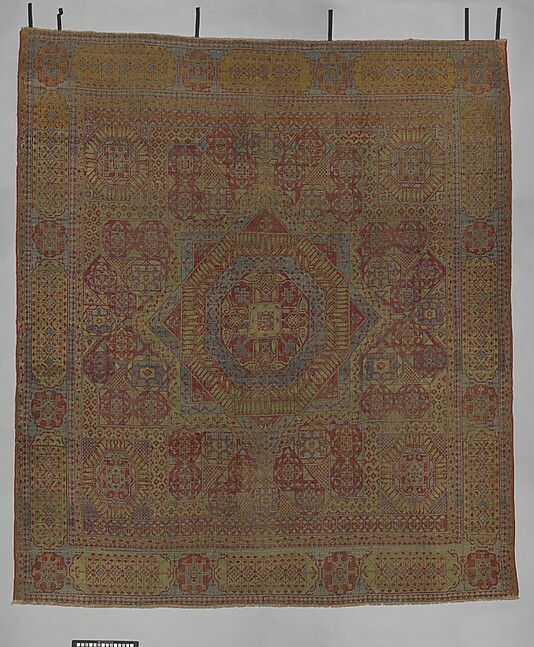 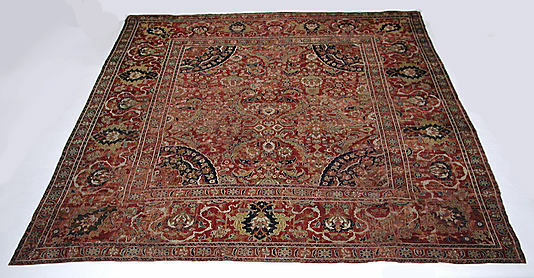 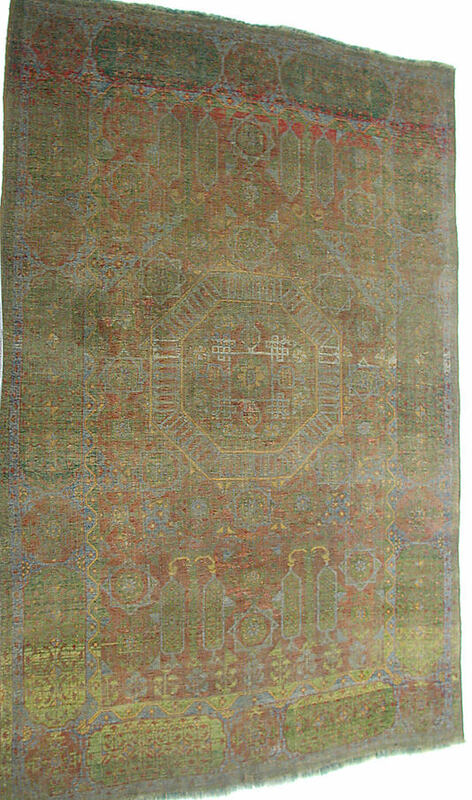 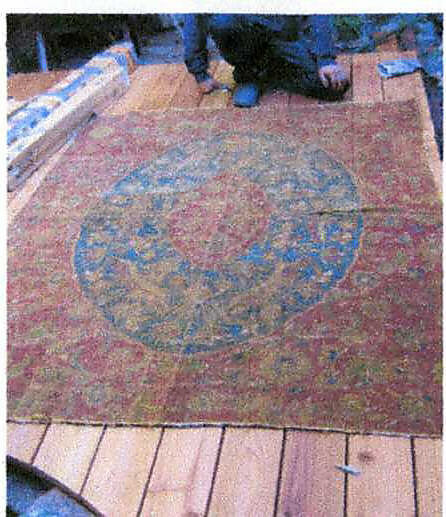 Using the same materials and techniques as earlier Mamluk carpets, Ottoman court carpets such as this were produced in Egypt for export, primarily to the Ottoman court in Istanbul. 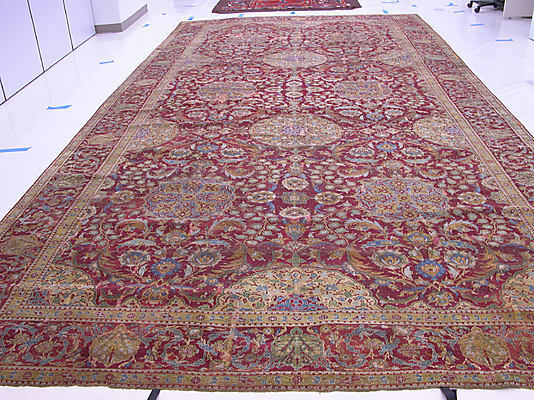 The immense scale of this carpet's drawing suggests it once formed part of an even larger carpet. 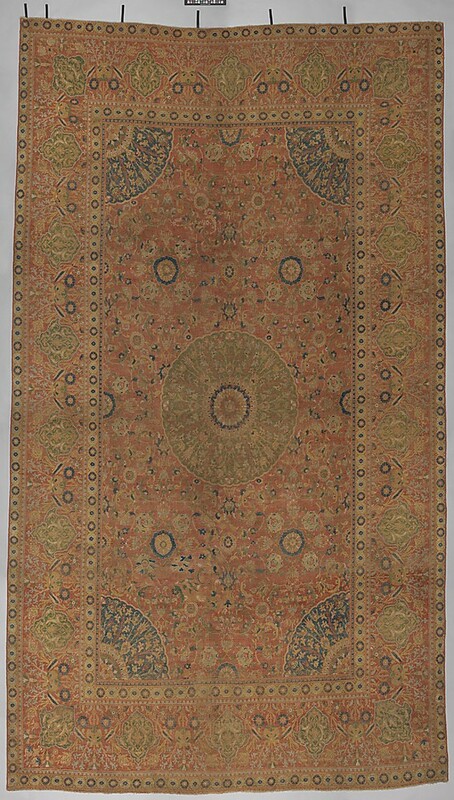 L. 81 in. 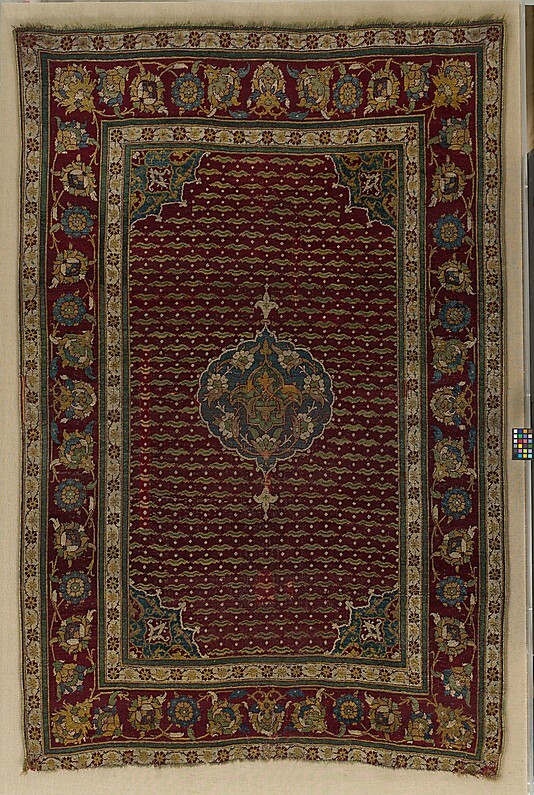 x W. 60 in.